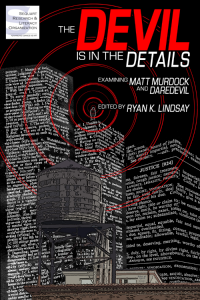 THE DEVIL IS IN THE DETAILS: EXAMINING MATT MURDOCK AND DAREDEVIL hits comic shops globally this Wednesday, the 28th of August 2013. This book of essays, edited by me, and contributed to by a devious set of analytical minds, is a passion project that I am so excited to see hit stores. It looks at Marvel’s Daredevil character from a multitude of angles. You can see all the major essay information here. Needless to say, if you like Daredevil then this book is massively for you. I hope you enjoy. 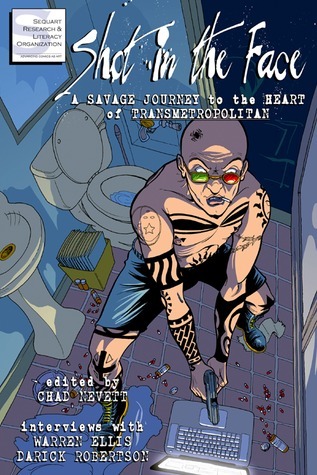 Shot in the Face: A Savage Journey to the Heart of Transmetropolitan is the latest book from Sequart and is edited by Chad Nevett. The book analyses TRANSMETROPOLITAN, the pulp gonzo comic from Darick Robertson and Warren Ellis. The book is now available on Amazon as a PAPERBACK – and a KINDLE EDITION. One main reason you should try the book, other than it being about a superb long form piece of comics and commentary, and other than it including a smorgasbord of some of the finest writers about comics right now, is CAFFEINE IN MY FINGERS: JOURNALISM OF THE FUTURE VIA ZAPRUDER TWEETS AND WOODWARD/BERNSTEIN FEEDS – an essay I wrote analysing the changing face of journalism presented in the book. I thought TRANSMETROPOLITAN was extremely prescient in unpacking the evolving and new school way of disseminating information and it predated certain elements of the open dialogue world we have today. It was a blast to write and an honour to be amongst such sharp minds. The rest of the book features essays and pieces by Chad Nevett, Julian Darius, Kevin Thurman, Patrick Meaney, Sean Witzke, Greg Burgas, Johanna Draper Carlson, Sara K. Ellis, Jason Michelitch, Chris Murphy, Brett Williams, with a superb cover from Kevin Colden. If you dig TRANSMETROPOLITAN, this book is a must read for you. If you dig smart comics and then deconstruction of those books in detail, this book will scratch all your itches. GHOST TOWN #2 – the intro issue from Daniel J Logan and I on the title that kickstarts our opening 3 issue storyline – has hit ComiXology and you can get it here. If your LCS sold out or you didn’t get one put away in the rush, this is the perfect way to jump on. This weekend at the Boston Comic Con, it was announced by ComixTribe that after the smashing success of the OXYMORON HC they would be delving into another hivemind collection of short tales. 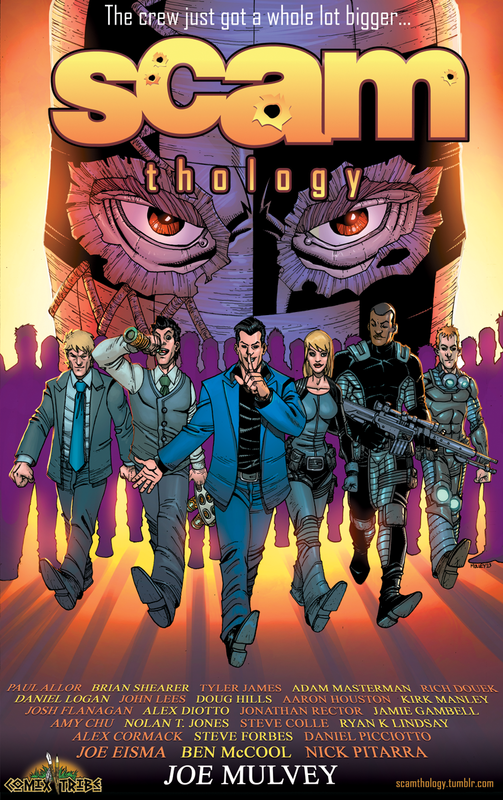 This book will centre around Joe Mulvey’s SCAM series and be called the SCAMthology – PR here. SCAM is about superpowered individuals pulling heists in Las Vegas so a bunch of us were given open slather on who to use and how in superpowered Vegas shenanigans. The book features the insane talent roll of Joe Eisma (Morning Glories), Ben McCool (Choker, Lookouts), Nick Pitarra (The Manhattan Projects), Paul Allor (Orc Girl),Brian Shearer (Transformers, Doctor Who), Tyler James (THE RED TEN), Adam Masterman (Echo Callaway), Rich Douek (Gutter Magic), Daniel Logan (Ghost Town), John Lees (The Standard), Doug Hills (Dixon’s Notch), Aaron Houston (Clockwork), Kirk Manley (Z-Girl and the 4 Tigers), Josh Flanagan (Dixon’s Notch), Alex Diotto (Southern Dog), Jonathan Rector (The Standard), Jamie Gambell (Department O), Amy Chu (Girl’s Night Out), Nolan T. Jones (Colonial Souls), Steve Colle (SCAM), Ryan K Lindsay (Ghost Town), Alex Cormack (Oxymoron), Steve Forbes (Runners), and Daniel Picciotto(Mercer) and it’s an honour to serve with and among these fine gents.